Spending time at the farm, or even raising some of your own chickens? Life is definitely better on the farm! 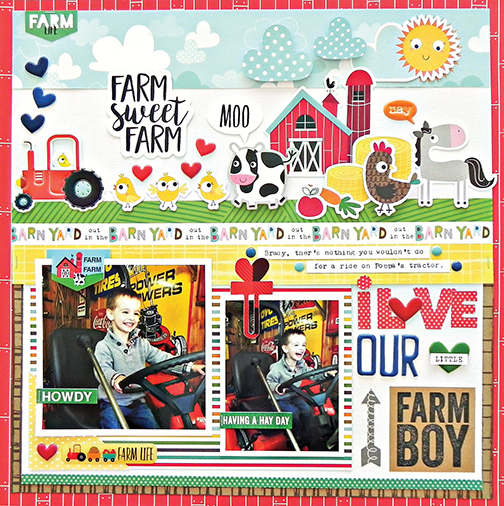 From homegrown gardens with fresh veggies to tractor rides and farm field trips, what better way to celebrate than with Barn Yard from Bella Blvd! Collection includes new puffy and epoxy stickers for embellishing!